We’re all busy, and at the end of a stressful day we still have to get dinner on the table. That’s why I keep my pantry stocked with our favorite ingredients to make last-minute meals quick and easy — no extra work necessary. I like to call these “dump-and-bake” dinners, and they are seriously lifesavers on crazy evenings. My latest concoction — this Dump-and-Bake Chicken Teriyaki — is about as simple (and flavorful) as it gets. Just 5 ingredients, you guys! 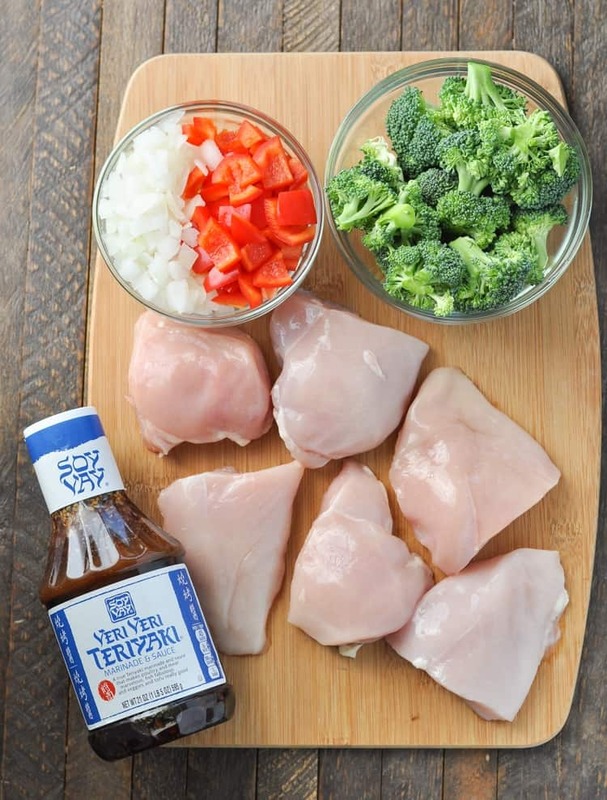 If you’re a regular blog reader, then you know that this is my very favorite Teriyaki Sauce. I often recommend it in my recipes because it’s the best! 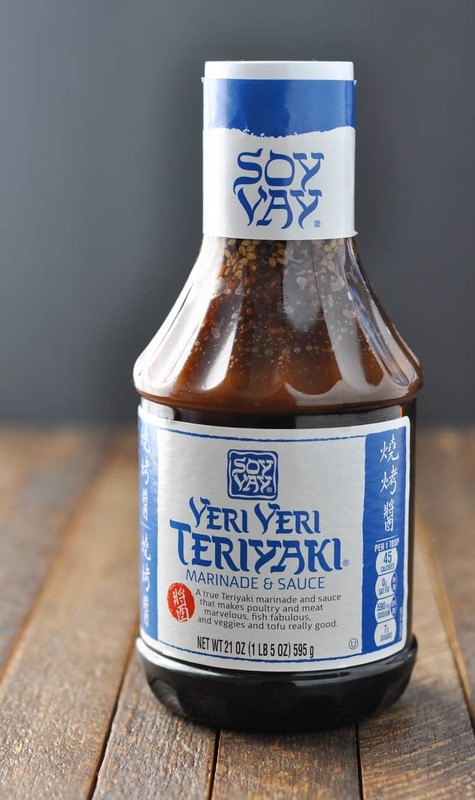 I can easily pick up the Soy Vay Veri Veri Teriyaki Marinade & Sauce at Target (in the oriental grocery aisle), it’s a simple way to add flavor to a meal, and it’s so much thicker and richer than other similar sauces that I have tried. 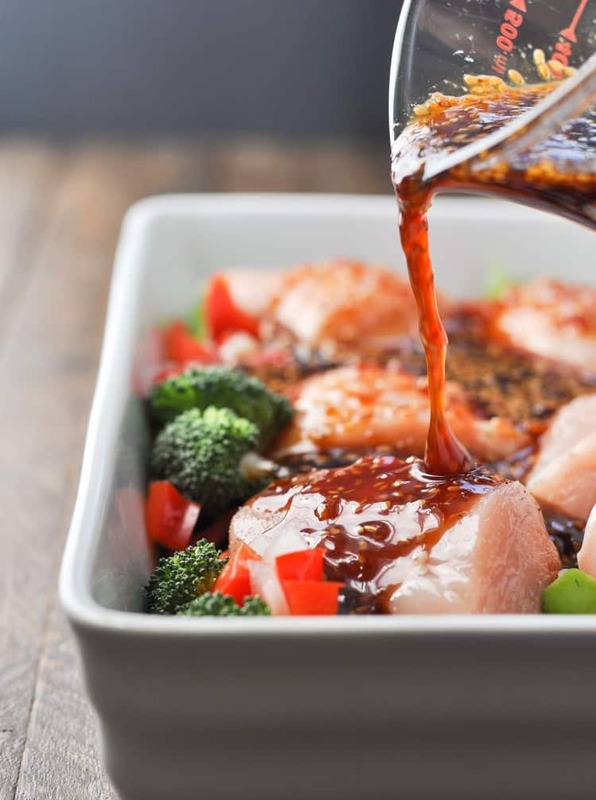 The sauce is perfect for marinating grilled seafood, for flavoring a stir-fry, and for baking Chicken Teriyaki in the oven. Plus, it uses only quality ingredients — no preservatives and no additives…ever! For this particular meal, you literally just place the chicken and veggies in a baking dish and then pour the teriyaki sauce over top. I like to remove the cover during the final 10-15 minutes of cooking to allow the sauce to thicken and to get the chicken a little bit crisp on the outside. The chicken teriyaki is delicious served with rice and additional veggies that I can steam in the microwave while the chicken cooks. 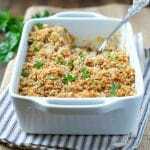 It’s such a simple meal that will nourish your family, bring smiles to your children’s faces, and make you feel like a Super Mom. The secret is in the sauce! 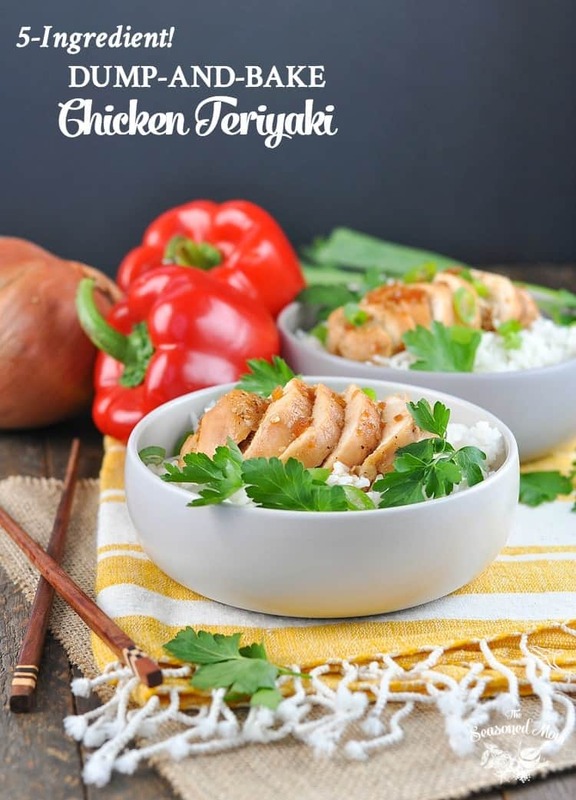 If you want to give this Dump-and-Bake Chicken Teriyaki a try, be sure to buy the Soy Vay Veri Veri Teriyaki Sauce at Target and Save 20% with the Target Cartwheel app! 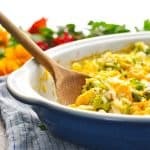 Place vegetables in the bottom of the prepared dish. Add chicken to the dish, pour teriyake marinade over top, and toss to coat. Cover with foil and bake for 15 minutes. 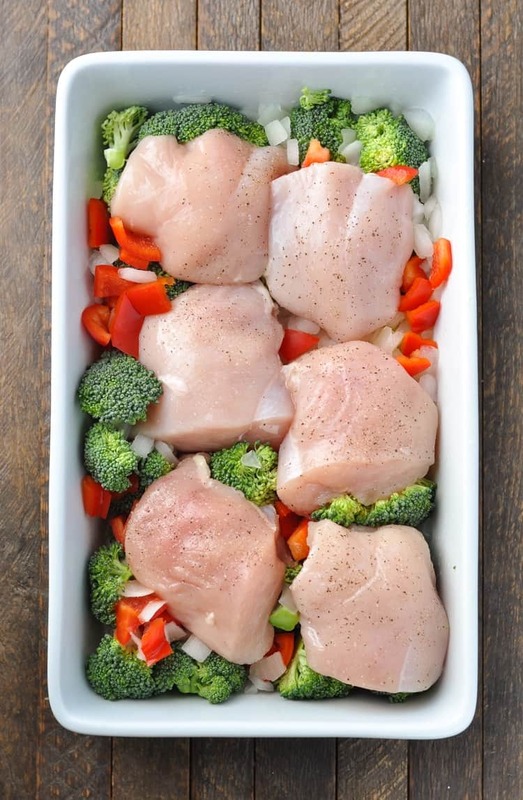 Uncover, stir, and return to the oven uncovered for 10-15 more minutes, or until meat thermometer reads 165 degrees F. If you’re using larger chicken breasts you will need to extend the cooking time by about 10-15 minutes. 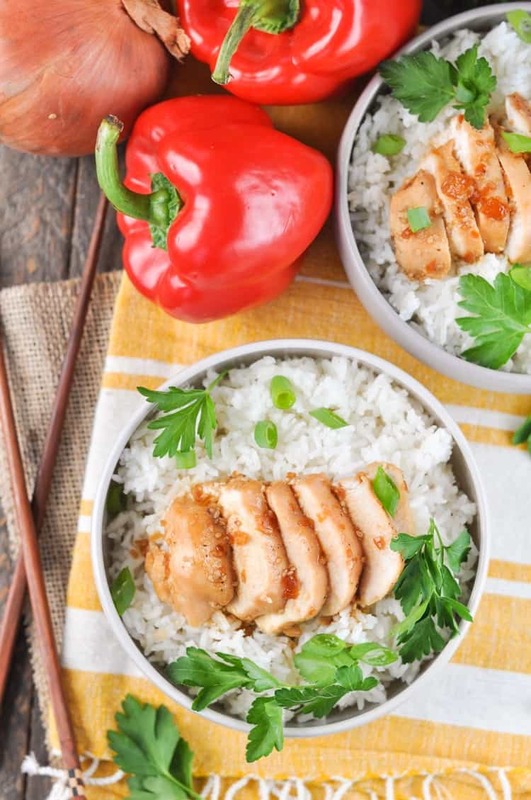 Serve chicken, vegetables, and sauce over rice. For an easy short-cut, look for pre-chopped vegetables in the produce section of the grocery store. You can even pick up diced peppers and broccoli florets from the salad bar! I keep a bag of store-bought frozen diced onion in my freezer for recipes like this one -- no chopping required! 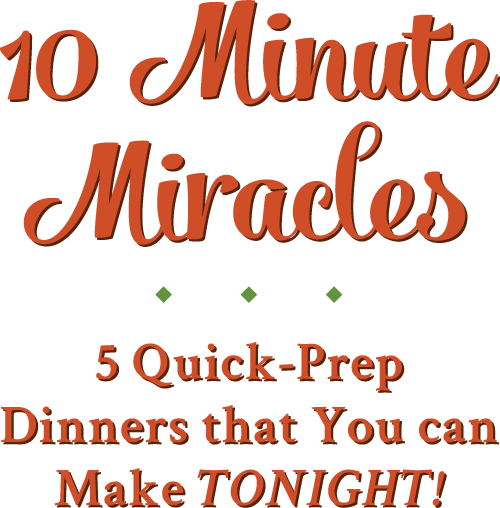 Ok so I’m crowning you the queen of easy flavorful dinners! This dish looks amazing! You can never go wrong with tender chicken and flavorful teriyaki sauce! 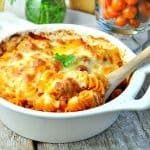 This looks SO delicious – such an easy and delicious dinner! Can’t ever go wrong with chicken teriyaki, right?! I totally agree — it’s always a safe bet! Thanks so much, Rachel! This sounds easy but yummy my kind of meal! I need a recipe for a shrimp dish with the teriyaki sauce or marinade. Thanks so much, Mildred! I hope that you get to try it! I’ve not heard of ‘Soy Vay Veri Veri Teriyaki Marinade’. Is it found in most grocery stores or Asian specialty stores? Thank you. Chicken teriyaki is a favorite of mine, so I can only imagine how delicious this dump and bake version is! Love how easy it is, too! Thanks so much for the pin, Tawnie! Isn’t that sauce amazing? I’m a HUGE fan! Tried it tonight. Insanely salty. Unfortunately had to throw it all out. Yum! This looks so so good! 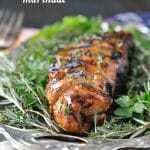 Jesse’s all time favourite asian marinade is teriyaki so he would love this! Thanks, Kristy! We love teriyaki sauce too! Hi Blair, I made this Dump & Bake Chicken Teriyaki for our Sunday dinner and thought it was really good. I didn’t find it over salty at all. Absolutely delicious!! I see what you mean by the sauce is thicker & richer than other marinades. I was able to find it at my local Market Basket and we did like it. I did see another brand that is lower in sodium, may try it next time just to cut down on the sodium a bit. Will definitely be making again!! Made this tonight and it was amazing! I substituted green beans for the broccoli and I also added some minced garlic to the sauce. My 3 year old LOVED it which is a major plus in my house! It won’t let me click on the stars, but definitely 5 stars! This was a hit at my house last night. Thank you! Made this tonight. Was super easy Will definitely do this again! Yay! Thanks for letting me know, Robyn! Does the carb and calorie count include the optional rice? 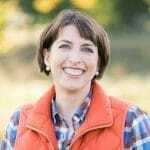 I just wanted to thank you for including the nutrient list on your recipes. 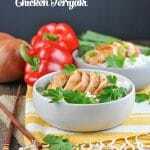 In particular for the carbohydrates and the breakdown of fiber to actual sugars; as well as the fat content and break down of the different fats as well. It’s very helpful for someone like me who is trying to get into the ketogenic lifestyle to improve my health. I will be trying this recipe out tonight. Keep the low-carb meals coming and have a great evening! I feel so honored that you remember me haha! I’m learning slowly but surely and I owe most of it to you and your blog/recipes! They are so easy for a beginner like me to understand. I made this recipe for dinner last night and it was delicious! The best food I have made by far. I used chicken thighs because I couldn’t find small enough chicken breasts and it turned out great after a bit longer cooking as you recommended. I just subscribed recently so you can expect to see me around! Thank you for always answering my questions and I hope you and your fam have a great rest of your week! I have been trying to be better at getting healthy, homemade dinners in the freezer for busy days. This Teriyaki Chicken sounded great but fell extremely short. The chicken was flavorful and tender however the vegetables were way overcooked and despite mixing well in a separate bowl and then filling my casserole dish there were pockets of uncooked rice and overcooked rice. Sounded great but it was too good to be true. Leftovers went into the trash! Looks like I reviewed the wrong recipe! My review is for Baked Teriyaki Chicken Vegetables and Rice. Rice on the side is definitely a better idea!